New York, July 9, 2018—Visible Alpha today announced that it was awarded “Fintech Innovation of the Year” at the Global Investor Awards event on June 27, 2018 in London. The awards celebrate outstanding performance and contributions to the financial industry. Visible Alpha was recognized for its unique offering that provides a comprehensive end-to-end solution for clients to discover, consume, track, budget, value and pay for all the research content they consume – analysts meetings and models, corporate access and bespoke work included. Since Visible Alpha’s commercial launch in February 2017, the company has been helping investment firms of all sizes and geographies become MiFID II compliant with research tracking and valuation tools, while enabling idea discovery through its analyst model and deep consensus platform. Currently, Visible Alpha has more than 150 buy-side clients with a combined $16 trillion in AUM and over 600 sell-side firms are contributing content on the platform. 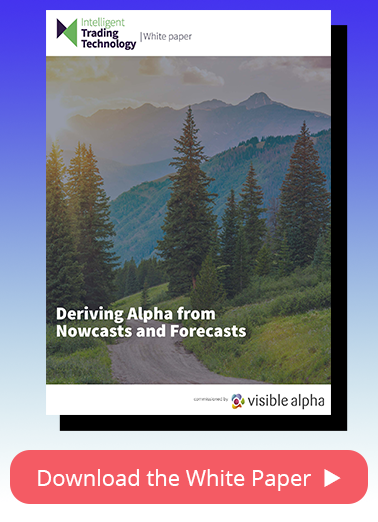 Visible Alpha has grown tremendously since its commercial launch in early 2017. With its acquisition of ONEaccess, it created an integrated workflow for discovering, tracking and valuing sell-side research content. It purchased Alpha Exchange late last year to deliver a more unified consumption and collaboration experience across research reports, analyst models and corporate access events. In early 2018, the company announced a $38 million round of capital raising led by Goldman Sachs Principal Strategic Investments. The company is using this investment to further enhance its MiFID II and Insights platforms and maintain its leadership position among firms driving efficiency, transparency and alpha generation in the institutional research process.